How is palliative care a human rights issue? Palliative care should be provided from the time of diagnosis and in tandem with any curative treatment. As the patient’s disease progresses into the terminal phase, palliative care should adapt to the patient’s changing needs. Palliative care must include psychological and spiritual services and other support in preparation for death. Palliative care programs should also tend to the needs of the family throughout the progression of the disease and into bereavement.6 Some programs include legal services to address power of attorney or health care proxy decisions and assistance in executing a will. Palliative care should be available for anyone suffering from moderate or severe pain, but below we highlight cancer and AIDs patients because of the overwhelming need for palliative care among these populations, as well as older persons and children, for whom palliative care is often an afterthought. Cancer patients are one the largest populations in need of palliative care. The World Health Organization (WHO) projects that global cancer deaths will increase from 7.9 million in 2007 to 11.5 million in 2030.9 In addition, new cases of cancer during the same period are estimated to grow to 15.5 million in 2030, up from 11.3 million in 2007.10 Over half of the new cancer cases each year occur in less developed countries.11 And while the WHO has demonstrated that up to 90% of cancer patients can receive adequate therapy for their pain with opioid analgesics, in 2005, 80% of cancer patients did not have access to pain relieving drugs. There are approximately 34.2 million people living with HIV and an estimated 1.7 million AIDs-related deaths each year.15 Up to 80% of patients in the advanced stages of AIDS suffer great pain, but very few have access to pain relieving drugs or palliative care services. The Special Rapporteur on the Right to Health estimates that around 85% of people living with HIV may have untreated pain.16 Again, less developed countries experience the highest rates of HIV/AIDs infection, but have limited access to opioid medications for pain relief. 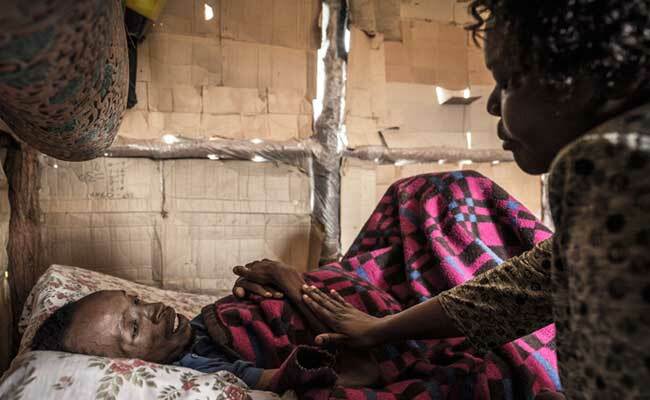 Palliative care for people living with AIDS has its own challenges. The progression of AIDS is variable and unpredictable, and people experience a wide range of complications and rates of survival.17 People with AIDS face possible opportunistic infections as well as experience different side effects from treatment for the infections and AIDS itself.18 Providing palliative care for people with AIDS must adjust to the differing needs of patients. People with HIV/AIDs also experience discrimination and stigma, influencing the individual’s access to health care, living experiences, and personal support networks. For example, “Where patients with HIV are also dependent on drugs, they may be denied access to both OST and palliative care.”19 Designers of palliative care programs should be cognizant of the additional social pressures and lack of services that AIDS patients face. The United Nations Committee on Economic, Social and Cultural Rights states that, with regard to the realization of the right to health of older persons, “attention and care for chronically and terminally ill persons [is important], sparing them avoidable pain and enabling them to die with dignity.”20 Older persons experience increased rates of chronic and terminal illnesses, and therefore are a significant portion of the population that requires palliative care. There are about 605 million people aged 60 years and over, and WHO expects that number to increase to 2 billion by 2050, with low- and middle-income countries experiencing the most rapid changes.21 As the older population grows in size, palliative care programs will have to be developed or augmented to address their specific needs. Palliative care seeks to improve the quality of life for a patient. “For children this also includes support of optimal childhood development, formal education, and developmental stimulation to enable the child, at every age, to live the best life possible.”28 At all times, the best interest of the child must be the primary consideration. Many essential medicines identified by the WHO are controlled medicines under international drug control conventions, including the Single Convention on Narcotic Drugs (1961) amended by the 1972 Protocol; the Convention on Psychotropic Substances (1971); and the United Nations Convention against Illicit Traffic in Narcotic Drugs and Psychotropic Substances (1988). These medicines are controlled because of their addictive properties and likelihood for misuse. It is the position of the INCB that the international drug control treaties do not prohibit the production and access to controlled substances for medicinal purposes. Health care professionals are worried about patient addiction to or dependence on opioids and therefore under-prescribe opioids for palliative care purposes. However, studies have demonstrated that prescribing opioids for pain relief does not lead to dependence.39 “Many myths exist surrounding the use of controlled drugs: that they lead to addiction, do not treat pain adequately, or that chronic or terminal pain is untreatable.”40In part, under-prescribing is due to insufficient training for health care professionals. Without proper training, health care workers maybe hesitant to prescribe or stock opioids for fear of legal implications, misunderstanding of its efficacy, or fear of addiction.41 The top three factors listed in the survey responses all correspond to knowledge and attitudinal barriers affecting the availability of opioids for medical purposes. 1 UN General Assembly, Report of the Special Rapporteur on the right of everyone to the enjoyment of the highest attainable standard of physical and mental health, A/65/255 (Aug. 6, 2010). 2 Open Society Foundations, Palliative Care as a Human Right (2011). www.soros.org/sites/default/files/palliative-care-human-right-20110524.pdf. 4 UN Committee on Economic, Social and Cultural Rights, General Comment No. 14, E/C.12/2000/4, para. 34 (Aug. 11, 2000). 5 UN Human Rights Council, Report of the Special Rapporteur on torture and other cruel, inhuman or degrading treatment or punishment, A/HRC/10/44), para. 72 (Jan. 14, 2009). 6 World Health Organization, Cancer Control Knowledge into Action: WHO Guide for Effective Programs (2007). http://whqlibdoc.who.int/publications/2007/9241547345_eng.pdf. 8 UN General Assembly, Report of the Special Rapporteur on the right of everyone to the enjoyment of the highest attainable standard of physical and mental health, A/65/255 (Aug. 6, 2010). 9 World Health Organization, Are the number of cancer cases increasing or decreasing in the world (Apr. 1, 2008). www.who.int/features/qa/15/en/index.html. 11 World Health Organization, National Cancer Control Programmes: Policies and Managerial Guidelines (2002). http://whqlibdoc.who.int/hq/2002/9241545577.pdf. 12 World Health Organization, Cancer Pain Relief: With a guide to opioid availability (1996): 5. http://whqlibdoc.who.int/publications/9241544821.pdf. 13 World Health Organization, “WHO’s Pain Ladder.” www.who.int/cancer/palliative/painladder/en/. For a more detailed analysis see, WHO, Cancer Pain Relief: With a guide to opioid availability (1996). http://whqlibdoc.who.int/publications/9241544821.pdf. 14 World Health Organization, Cancer Pain Relief: With a guide to opioid availability (1996): 3. http://whqlibdoc.who.int/publications/9241544821.pdf. 15 UNAIDS, Global AIDS epidemic facts and figures, Fact Sheet (July 18, 2012). www.unaids.org/en/media/unaids/contentassets/documents/epidemiology/2012/201207_FactSheet_Global_en.pdf. 16 UN General Assembly, Report of the Special Rapporteur on the right of everyone to the enjoyment of the highest attainable standard of physical and mental health, A/65/255 (Aug. 6, 2010). 17 UNAIDS, AIDS: Palliative Care (Oct. 2000): 3. http://data.unaids.org/Publications/IRC-pub05/JC453-PalliCare-TU_en.pdf. 19 UN General Assembly, Report of the Special Rapporteur on the right of everyone to the enjoyment of the highest attainable standard of physical and mental health, A/65/255 (Aug. 6, 2010). 20 UN Committee on Economic, Social and Cultural Rights, General Comment No. 14, E/C.12/2000/4, para. 25 (Aug. 11, 2000). 21 World Health Organization, “Ageing and Life Course: Interesting Facts About Ageing” (Mar. 28, 2010). www.who.int/ageing/about/facts/en/index.html. 22 UN Human Rights Council, Report of the Special Rapporteur on the right of everyone to the enjoyment of the highest attainable standard of physical and mental health, Thematic Study, A/HRC/18/37 (July 4, 2011). http://www2.ohchr.org/english/bodies/hrcouncil/docs/18session/A-HRC-18-37_en.pdf. 24 For technical guidance on pharmacological treatment of children and policy reform recommendations, please see World Health Organization, WHO guidelines on the pharmacological treatment of persisting pain in children with medical illnesses (2012). http://whqlibdoc.who.int/publications/2012/9789241548120_Guidelines.pdf; World Health Organization, Persisting Pain in Children: Highlights for policy makers (2012). http://whqlibdoc.who.int/publications/2012/9789241548120_%20Policy%20Brochure.pdf; World Health Organization, Persisting Pain in Children: Highlights for physicians and nurses (2012). http://whqlibdoc.who.int/publications/2012/9789241548120_Physicians&Nurses.pdf; World Health Organization, Persisting Pain in Children: Highlights for pharmacists (2012). http://whqlibdoc.who.int/publications/2012/9789241548120_Pharmacists_Brochure.pdf. 25 International Children’s Palliative Care Network, “The need for Children’s Palliative Care.” www.icpcn.org.uk/page.asp?section=0001000100080002. 26 American Cancer Society, Global Cancer Facts and Figures (2008). www.cancer.org/acs/groups/content/@epidemiologysurveilance/documents/document/acspc-027766.pdf. 27 UNAIDS, Global AIDS epidemic facts and figures, Fact Sheet (July 18, 2012). www.unaids.org/en/media/unaids/contentassets/documents/epidemiology/2012/201207_FactSheet_Global_en.pdf. 28 Hospice Palliative Care Association of South Africa, “Chapter 8: Legal Rights of Children in Palliative Care,” in Legal Aspects of Palliative Care Manual (2012). www.hpca.co.za/Legal_Resources.html. 29 International Narcotics Control Board, Report of the International Narcotics Control Board on the Availability of Internationally Controlled Drugs: Ensuring Adequate Access for Medical and Scientific Purposes (2010). http://www.unodc.org/documents/southerncone/noticias/2011/03-marco/Jife/Report_of_the_Board_on_the_availability_of_controlled_substances.pdf. 31 Joint letter by UN special rapporteur on the prevention of torture and cruel, inhuman or degrading treatment or punishment, Manfred Nowak, and the UN special rapporteur on the right of everyone to the enjoyment of the highest attainable standard of physical and mental health, Anand Grover, to the Commission on Narcotic Drugs (December 2008). http://www.hrw.org/news/2008/12/10/un-human-rights-experts-call-upon-cnd-support-harm-reduction. 32 World Health Organization, Medicines: WHO Model Lists of Essential Medicines (March 2011). www.who.int/medicines/publications/essentialmedicines/en/. 33 World Health Organization, “Medicines: Essential Medicines.” www.who.int/medicines/services/essmedicines_def/en/index.html. 34 UN Committee on Economic, Social and Cultural Rights, General Comment No. 14 (2000), E/C.12/2000/4 (Aug. 11, 2000). 35 International Association for Hospice and Palliative Care, IAHPC List of Essential Medicines for Palliative Care (2007). http://hospicecare.com/resources/palliative-care-essentials/iahpc-essential-medicines-for-palliative-care/. 36 Pallum India, “The Morphine Manifesto” (2012). http://palliumindia.org/manifesto/ . 37 International Narcotics Control Board, Report of the International Narcotics Control Board on the Availability of Internationally Controlled Drugs: Ensuring Adequate Access for Medical and Scientific Purposes (2010). http://www.unodc.org/documents/southerncone/noticias/2011/03-marco/Jife/Report_of_the_Board_on_the_availability_of_controlled_substances.pdf. 39 UN General Assembly, Report of the Special Rapporteur on the right of everyone to the enjoyment of the highest attainable standard of physical and mental health, A/65/255 (Aug. 6, 2010). 41 International Narcotics Control Board, Report of the International Narcotics Control Board on the Availability of Internationally Controlled Drugs: Ensuring Adequate Access for Medical and Scientific Purposes (2010). http://www.unodc.org/documents/southerncone/noticias/2011/03-marco/Jife/Report_of_the_Board_on_the_availability_of_controlled_substances.pdf; UN General Assembly, Report of the Special Rapporteur on the right of everyone to the enjoyment of the highest attainable standard of physical and mental health, A/65/255 (Aug. 6, 2010). 42 International Narcotics Control Board, Report of the International Narcotics Control Board on the Availability of Internationally Controlled Drugs: Ensuring Adequate Access for Medical and Scientific Purposes (2010). http://www.unodc.org/documents/southerncone/noticias/2011/03-marco/Jife/Report_of_the_Board_on_the_availability_of_controlled_substances.pdf. 43 UN General Assembly, Report of the Special Rapporteur on the right of everyone to the enjoyment of the highest attainable standard of physical and mental health, A/65/255 (Aug. 6, 2010). 45 World Health Organization, Persisting Pain in Children: Highlights for policy makers extracted from the guidelines on the pharmacological treatment of persisting pain in children with medical illnesses (2012). http://whqlibdoc.who.int/publications/2012/9789241548120_%20Policy%20Brochure.pdf. 46 UN General Assembly, Report of the Special Rapporteur on the right of everyone to the enjoyment of the highest attainable standard of physical and mental health, A/65/255 (Aug. 6, 2010).